Eating out with kids can be a wildly unpredictable experience but who wants to stop dining out in nice eateries just because there’s a small chance their child might stand on a chair and sing ‘Let it Go!’ at the top of their lungs in an attempt to serenade everyone present right to the back of the room, knock their drink over into your lap, throw a massive tantrum over a blue crayon or just all of a sudden need the nap they refused earlier in the day only to become a love limpet… Firmly attached to you while you try to negotiate food from your fork into your mouth while it’s still at the temperature it was intended to be served. A small chance. It’s worth the gamble. 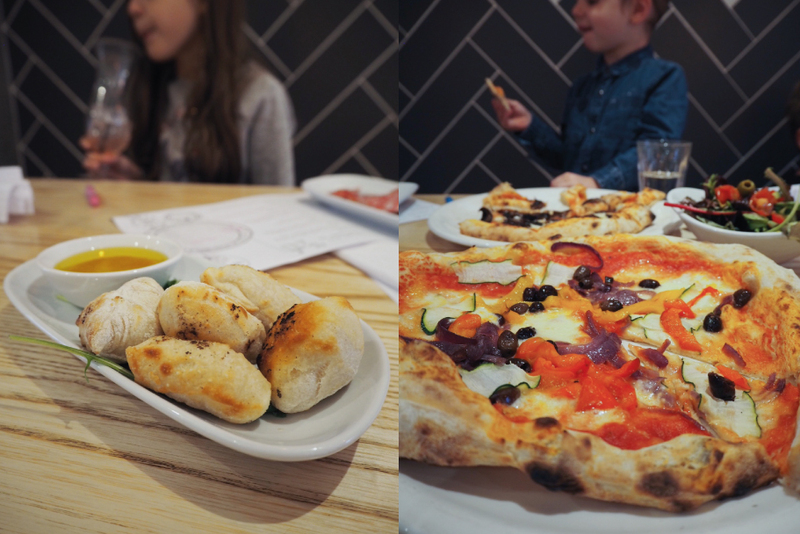 We took the brood to Proove in West Didsbury for lunch as a family… 5 of us – 2 grown ups, our nearly 7 year old daughter and our 3 year old twin sons… I thought this would be a good opportunity to put my TOP 10 TIPS FOR DINING OUT WITH KIDS (without anyone losing their… cool) into practice. 1) Get them used to a restaurant environment as early as you can. It’s a bit like the swimming pool… the sooner they’re able to be immersed in that environment the better. There’s a lot to get used to in a busy restaurant: noise, smells, lights, strangers putting food in front of you and taking your parents’ cash at the end. 2) Choose a restaurant with atmosphere. Try and choose somewhere with a bit of noise and business so any racket coming from your table blends in a little, no one wants to be in a situation where their child’s demands/burps/exclamations of ‘I need a poo!’ are echoing around a super minimal quiet space where other diners had the impression they were visiting for a lovely intimate super peaceful meal together. 3) Check the menu online and discuss your selection before you arrive. Especially if anyone in your brood has any dietary requirements. Pretending to be a waiter/waitress and taking everyone’s orders beforehand is a great trick, you can arrive and order straight away to reduce that initial waiting time… code amber hangry zone!! If lunch is usually at around 12:30pm book the table for 12pm to give you all a good half hour of arriving, ordering waiting for the food… sounds mega simple but that half an hour can make a huge difference to your dining experience when hungry little tummies are involved. They love getting involved and may behave better if they make a connection with the waiting staff. Oof… sometimes there’s just no escaping it. The smallest thing can happen and BOOM… nothing at that dining table can calm the situation. I find that taking our joyous temporarily shouty little person off somewhere works a treat.. even if it’s outside for a moment to look in a shop window and get some air. A bit of distraction and a mini pep talk and in most cases they’re back on the team… phew. Pencil case, colouring book, a small toy (that doesn’t make any annoying battery powered beeps preferably), a story book… anything that can keep their active little minds and hands busy between chat and courses. 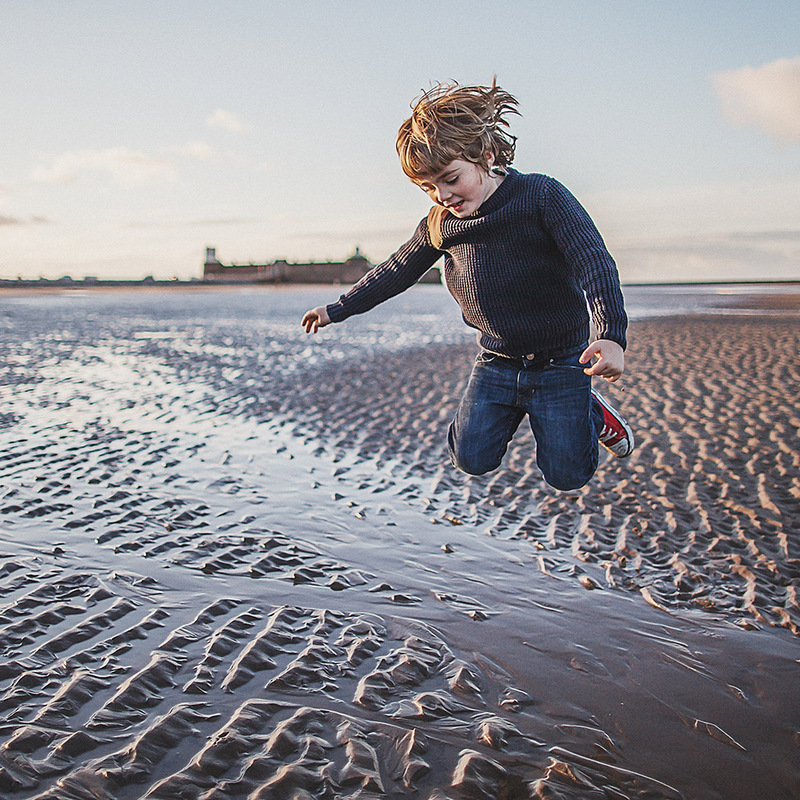 Try setting a few general rules about the practicalities – not leaving the table and noise levels etc… I don’t think children can be controlled but they can be contained enough to enjoy the meal with you without running off and causing havoc… it also means that everyone within a 10 meter radius doesn’t hate you. This does take a lot of practice, I’ve caught one of my boys getting ready to tuck into someone else’s dessert on the next table before. More potential waiting time being reduced… Definitely if it’s an evening meal when the kids are a bit tired and somehow seem to be able to muster superhuman levels of wired energy. You tried. It happens… some days are just ‘one of those days’. It will be a different experience next time. I’m going to be quite transparent… sometimes I get invited to events and restaurants etc and politely turn them down if I don’t feel I (or we as a family) would genuinely enjoy the experience or if our values don’t align. 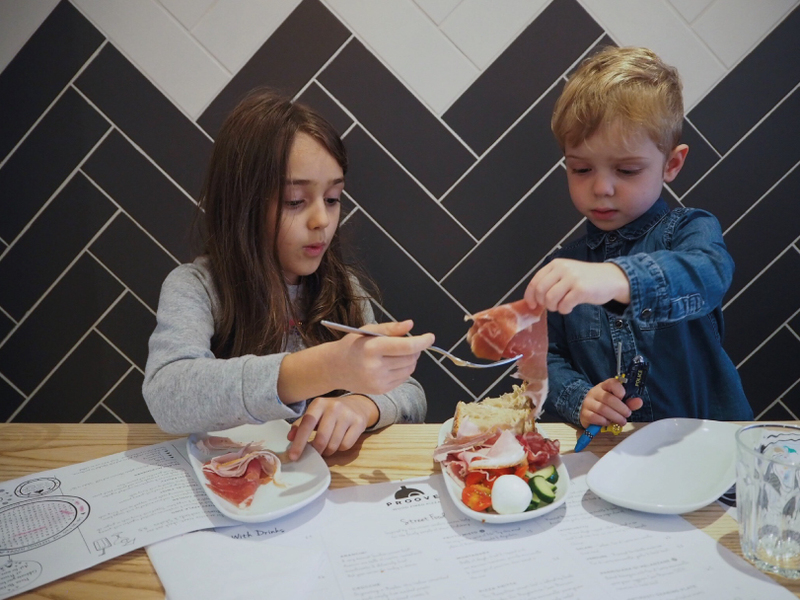 When we were invited along to Proove I knew that this would be something that the whole family would be up for… Authentic Neapolitan street food including pizzas, loads of vegetarian options for me and gluten free options for one of my boys… tick tick tick… we were there in a flash! The staff were really welcoming and attentive, the atmosphere was lovely and relaxed and there were items on the kids’ menu which I don’t see so often like antipasto plates and kids’ cocktails which went down a storm with my lot. The kids’ portions were really generous so if you’re visiting with an older child with a big appetite they definitely won’t be left hungry. The food was delicious, the pizza was hands down the best pizza we’ve had in a long time… the dough is slow proved for 20 hours and cooked really fast in their specially built ovens. 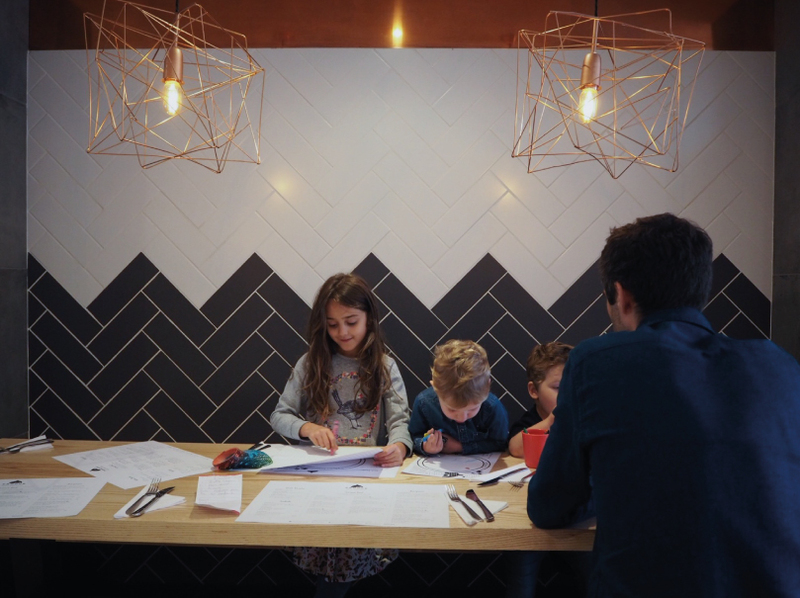 The menu is priced well too, there’s no faffing with discount vouchers or club cards – Proove prefer to offer great affordable food all of the time… a massive factor when you’re eating out as a family right? Proove is also involved in the Foodinate initiative – For every Foodinate item sold from their menu, the restaurant funds a nourishing meal for a local person in need. The restaurant is matched with a food-giving charity in the same area, so the meals funded by Proove can be served to people in need in the same community… such a great idea.